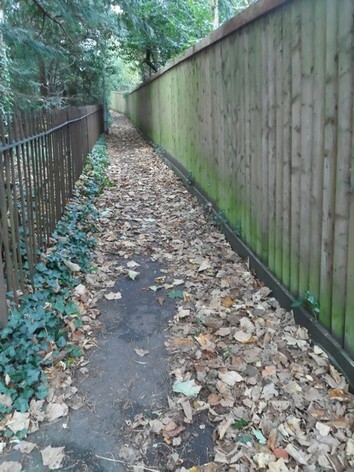 Hitchin Forum has been working over the past few years to improve footpaths in the town. 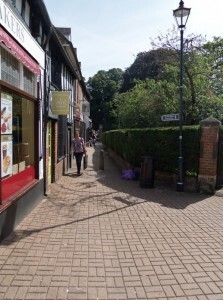 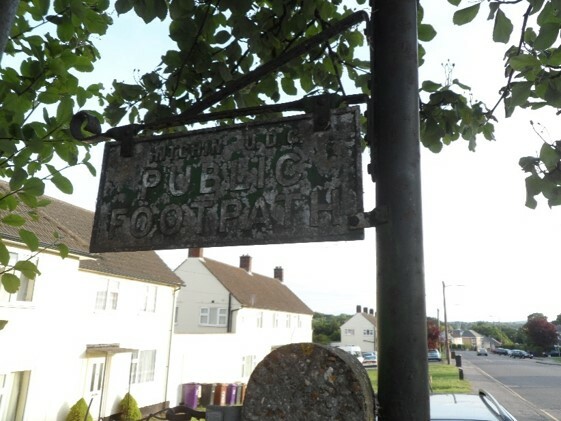 Hitchin has a network of over 100 footpaths and bridleways (mapped here) and we would like to encourage walking to reduce traffic congestion and improve health. 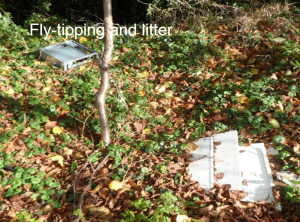 volunteers check paths and raise issues – some even collect litter! 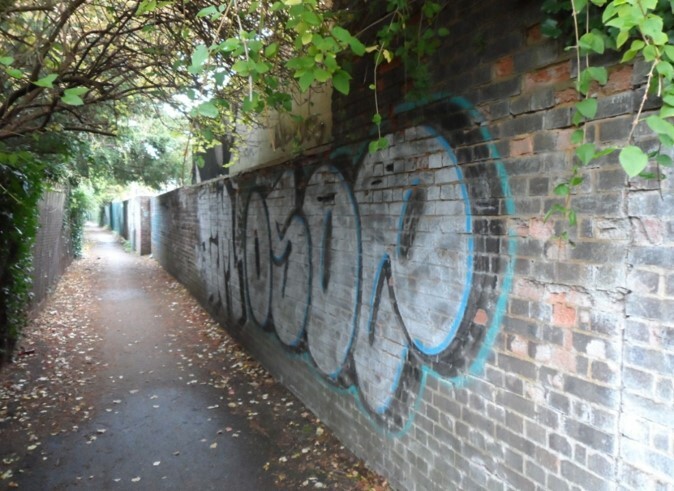 In 2013 we identified the section of the HOOP between the St Michael’s Road roundabout and Coot’s Corner / Gypsy Lane as in need of improvement. 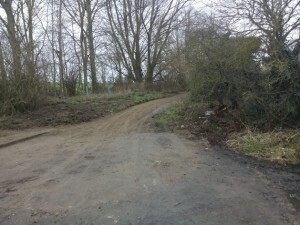 Countryside Access Officer, Nicholas Maddex, Peter Briercliffe of North Hertfordshire Ramblers and Forum member Bill Sellicks met with a Countryside Management Service representative on site in October 2014, and agreed that the verges were narrowed by vegetation and had numerous obstructions such that pedestrians had to share the carriageway with fast moving traffic. Vegetation reduced visibility, making crossing particularly dangerous. 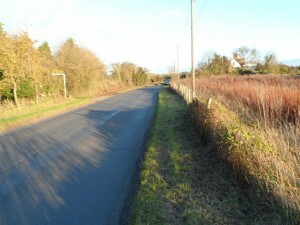 In November 2015, the verges on both sides were cleared of obstructions and effectively widened, making this stretch of the HOOP far more pleasant. 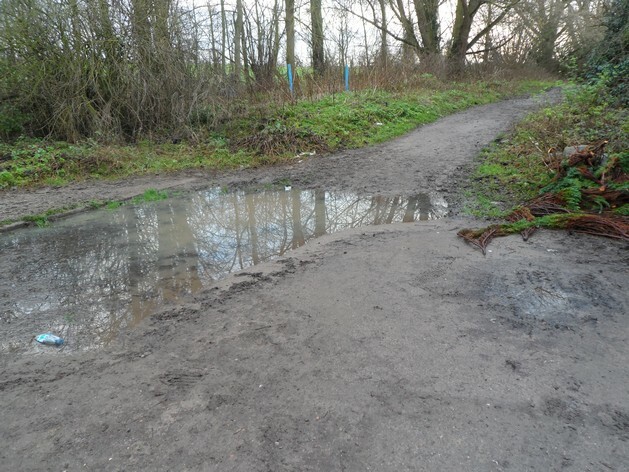 For some time, we had also identified the surface at the northern end of Gypsy Lane, particularly where it meets Purwell Lane, as very poor, with standing water and slippery mud during winter. 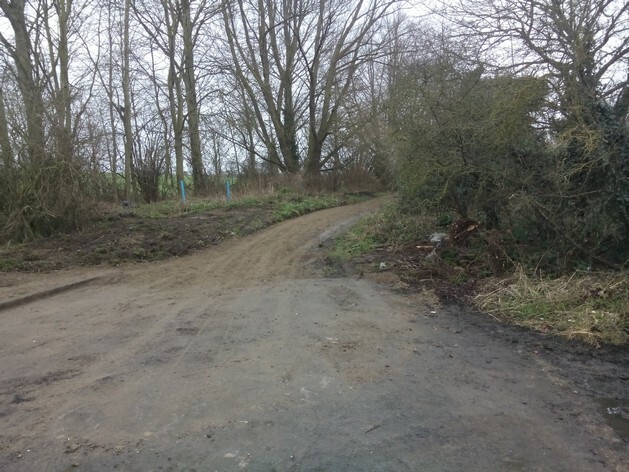 In January 2016, the entire length of Gypsy Lane was resurfaced and drainage was also improved. A seat that had been damaged by a contractor (not vandalised, although it had become a focus for graffiti and created a feeling that the path was neglected) was removed. 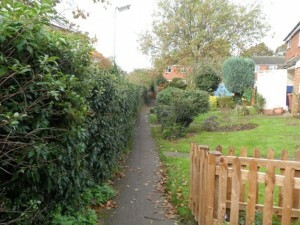 Before and after photos show the difference! Cracked and leaning wall in path frequently used by schoolchildren. Following inspection HCC notified North Herts District Council who closed the path pending repair work to make the wall safe. 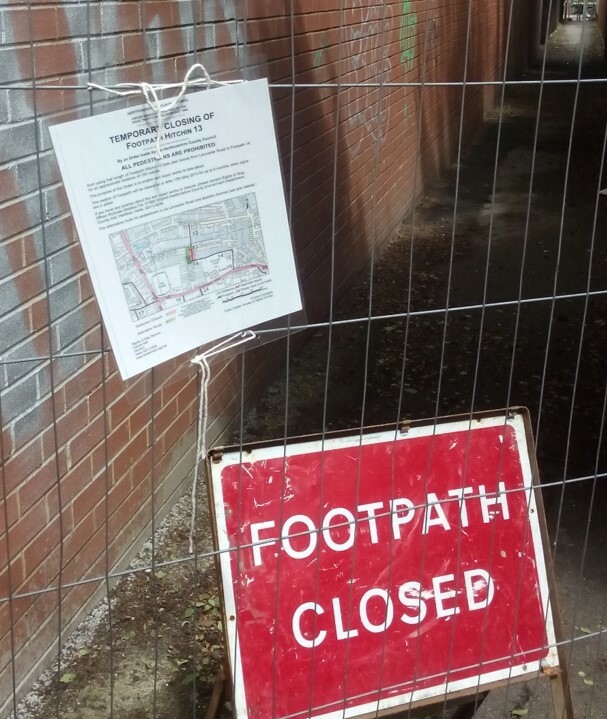 The Herts County Council Countryside Officer has responded rapidly to a number of other issues we and others have raised with him. 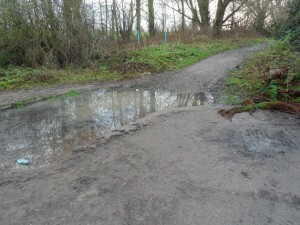 During the autumn, he intervened on behalf of users of Priory Fields when a Forum member notified us that paths had not been restored after ploughing. 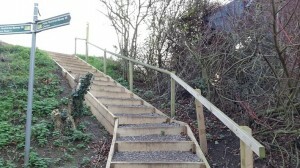 A handsome new set of steps was installed giving better access to the path leading south from Brick Kiln Lane near the Pig Table. 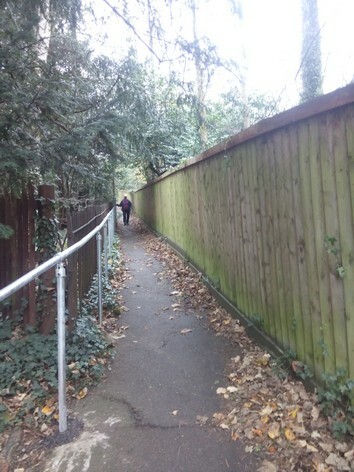 The Countryside Officer also moved rapidly to have a hand rail installed in St John’s Path and the one in Taylor’s Hill extended at the bottom end. 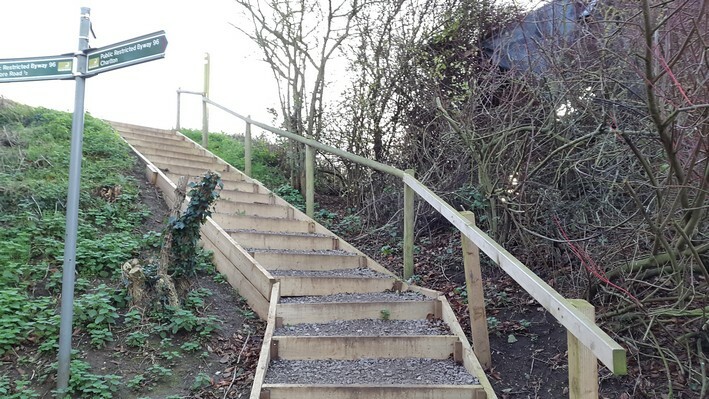 Whilst what he can achieve is always constrained by funding, he has been able to make significant improvements to Hitchin’s paths recently, and we are most grateful. 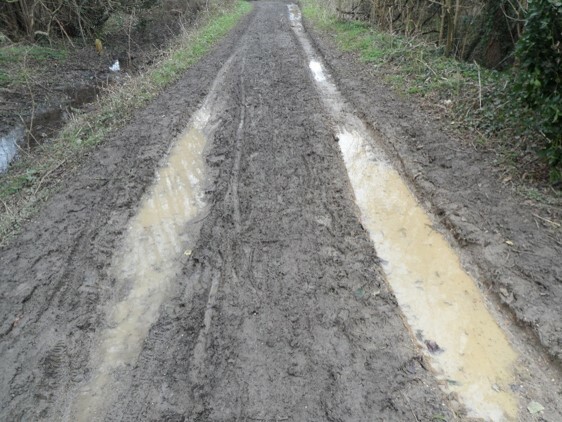 Herts County Council website has the definitive map of paths with the numbering as used above. 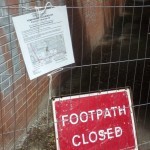 Follow the instructions to the right of the map to zoom and focus on Hitchin.